After travelling in Himachal Pradesh to visit friends, I had an idea to export wild mushrooms to the uk. Not really crazy when you consider how much Europeans love their wild mushrooms and how abundantly they grow in Himachal. I have always believed in fair trade. Apart from being good morally, it generates stronger business relationships. A reputed fair trade firm in Europe agreed that if I could set up a fair trade in organically certified supply of wild mushrooms from India, it would place some large orders. It even helped me secure an interest-free loan. There were initial hiccups. People couldn't help laughing that someone would actually consider cutting out the middleman and then offer to pay at least 10 per cent more than the going rate. But slowly things started to fall in place.I set up a processing unit at the heart of the place where a wild variety of mushroom (morel, local name 'guchi') is collected and sold on a large scale. The area nearby was designated a national park in 1999 and local people were cut off from resources. So my venture seemed to tie in with helping local people. The forest department, against all my expectations, was helpful. The park director had posters put up explaining how to extract mushrooms properly. By explaining that the local practice of cutting mushrooms at the base stops them from growing the next year, we could initiate change. But this policy was not adopted across the state; most thought it was pointless to explain anything to village folk. And as more mushrooms were extracted in an unsustainable manner, they became rarer and their price kept going up. I was also asked by the park authorities to work with a local ngo. But after sometime, I realized that a group of people had been selected to do a job for which they had no training. There was also no accountability. The affair ended with accusations that none of the ngo staff had been paid while their boss was building a new house and had bought a new bike. I did not stick around to see if the allegations were true. European organizations with lots of cash created another set of problems. An example village women here had been making and selling vermicompost on a large scale for some time. It's a fairly simple process where a pit is dug, organic waste is put and the right kind of worm introduced at no cost. The forest department managed to procure Rs 20,000 to make such a pit. They had to make a show of spending the money a huge pit was dug and lined with concrete. It was only a week before their generous donors came to inspect that someone pointed out that worms couldn't burrow through concrete and the whole thing had to be broken. I found myself being called into various offices on a regular basis for advice. It took me a while that this advice was all about helping them to get funds. I did earn kudos for working with a local fair trade business. But that partnership turned out to be a one-way street. There was another stonewall. To get the organic certification, I needed a letter from the forest department simply stating that I was not contravening any state law. Actually, my control parameters were more strict than the department's. But someone decided that an Indian with a British passport could not possibly come to work in India unless it was worth millions and that actually I was lying about my whole operation. I guess he wanted a cut. I could have bided my time. But I really couldn't do anything about climate change. Years of drought and rainfall seemed to alternate. In 2005, the valley where I was working experienced the worst floods in 40 years. I had planned to erect a small turbine in the river close to my unit. However, the flood made the river shift course. Not something I could have written into my risk assessment plan. 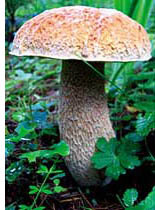 The growing season for mushroom was, as far as people could remember, July/August. Within four years of my being here, the growing season shifted to September/October. Not much of a difficulty except that the main business in Himachal, apart from apples, is dope--the season for this is also September/October. It's illegal all right, but who wants to go into the forest picking mushrooms when Rs 300 can be earned from home every day. Oh well, you can't say I didn't try.